The Court of Justice of the European Union (CJEU) recently issued its judgment in the Danish gun-jumping case, which concerned the acquisition by EY Denmark of KPMG Denmark. The EU and most national merger control regimes in the EU provide for so-called standstill obligations – meaning that the parties cannot implement a transaction which requires notification until the necessary merger clearances have been received from the relevant competition authorities. This means, in particular, that the acquiring company cannot start controlling the target's business prior to closing - no "gun jumping" is allowed. While this case involved Danish rather than EU merger control law, the CJEU held that it had the jurisdiction to provide a preliminary ruling because the Danish law was based on the EU Merger Regulation (Regulation (EC) No 139/2004). In its judgment, the CJEU clarified the scope of the “standstill” obligation for an EU merger review, and held that the termination of the cooperation agreement, such as the one between KMPG Denmark and KPMG International did not violate gun-jumping rules under the EU Merger Regulation. Gun-jumping refers to a breach of the obligation not to implement a notifiable merger before it is approved by the relevant merger authorities, which in the case of the EU Merger Regulation is the European Commission (standstill obligation). There is no clear definition or guidance in EU law as to how the concept applies in practice, and in particular, what conduct would constitute implementation of a merger. There have been significant fines for gun-jumping, such as the €124.5 million fine imposed on Altice by the Commission earlier this year in relation to its acquisition of PT Portugal. This followed a fine of €80 million also on Altice by the French Competition Authority in relation to its acquisition of SFR and OTL in late 2016. The Commission has in the past imposed a fine of €20 million on Electrabel and more recently, a similar fine on Marine Harvest for failure to notify and obtain approval prior to completion of a merger subject to the EU Merger Regulation. These can be seen as part of a wider Commission initiative to pursue procedural breaches of merger control rules. In the decisions relating to Altice, both the French Competition Authority and the Commission reviewed Altice’s conduct and behaviour, including the level of influence it had over the target business pending completion and the level of confidential information shared. The French Competition Authority censured Altice, in relation to Altice’s influence over matters such as significant investment decisions by the target and the target’s participation in a tender. Amongst other things, the Commission had concerns about the influence that Altice exercised over a marketing campaign by PT Portugal and in relation to how confidential information was shared. These decisions are noteworthy as they provide some insights into how the Commission and other authorities in the EU interpret gun-jumping rules in practice. For a purchaser there is a commercial imperative to engage in integration planning before completion and to protect the value of its investment in terms of how the target business is managed prior to completion. Balancing these requirements with the standstill obligation, in particular during long-running merger reviews, can require careful judgement. The EY and KPMG case concerns the concentration between EY Denmark and KPMG Denmark. On 18 November 2013, the two auditing firms entered into a merger agreement and began pre-notification discussions with Konkurrence- og Forbrugerstyrelsen (the Danish Competition and Consumer Authority (DCCA)). The transaction was notified to the DCCA7 February 2014, and the merger was approved by the Danish Competition Council (part of the DCCA) on 28 May 2014 with remedies in phase II. Prior to the merger, KPMG Denmark was a member of KPMG's international network. That cooperation was formalised through a cooperation agreement between KPMG Denmark and KPMG International, which established a voluntary and integrated cooperation, under which the firms operated according to the same standards and norms and presented themselves to clients as a combined network. The different KPMG offices however remained autonomous and independent from a competition law perspective. Under the merger agreement, KPMG Denmark was to terminate its agreement with KPMG International immediately after the signing of the merger agreement, so that it could withdraw from its cooperation with the latter with a view to merging with EY Denmark. After signing the merger agreement with EY Denmark on 18 November 2013, KPMG Denmark terminated the cooperation agreement with effect from 30 September 2014, firstly by a telephone call informing the chairman of the board of KPMG International in advance and subsequently by letter of 18 November 2013 to KPMG International. The Danish Competition Council considered that the standstill obligation under Danish law should be construed widely so that conduct which was merger specific, irreversible and had a potential market effect could constitute early implementation. In this case, KPMG Denmark terminated its membership of KPMG International (with effect from completion) after the merger agreements were signed and before the merger had been notified or approved. Following the termination, KPMG International announced its intention to remain active in Denmark and certain KPMG Denmark customers decided to change auditors. The Danish Competition Council considered that the termination by KPMG Denmark was therefore a breach of the standstill obligation as it was related to the merger, irreversible and had a potential market effect in the period between termination and approval. After the DCCA passed its decision, it forwarded the case to the Danish Prosecutor with a view to imposing sanctions. The decision on gun jumping was appealed to the Danish Maritime and Commercial Court by KPMG Denmark and EY, which then referred the case to the CJEU for a preliminary ruling for the correct interpretation of Article 7(1) of the EU Merger Regulation regarding standstill obligations, on which paragraph 12c (5) of the Danish Law on competition was based. At the outset, the European Commission expressed doubts as to the CJEU’s jurisdiction to hear and determine the request for a preliminary ruling, since EU law was not applicable in the dispute in the main proceedings and the applicable law did not refer to EU law. It was only the travaux préparatoires to that law that stated that it must be interpreted in the light of the EU Merger Regulation, as well as the case law of the General Court and the CJEU. The CJEU held that it has the jurisdiction to give preliminary rulings on questions concerning EU law where, even if the facts of the cases being considered by the national courts were outside the direct scope of EU law, EU law was “rendered applicable” by domestic law, which adopted the same approach as that provided for under EU law. Interestingly, the Danish law in question contained no direct reference to the provisions of EU law whose interpretation was sought, and it did not exactly reproduce the provisions corresponding to the EU Merger Regulation. Nonetheless, the CJEU observed that the travaux préparatoires to the Danish law on competition shows that the Danish legislature’s intention was to harmonise national competition law in merger control with that of the EU, since the national provisions, in essence, were based on the EU Merger Regulation. It further noted that the referring court held that Danish law should be interpreted in the light of EU law, and in particular, the case law of the CJEU. In this light of the above, the CJEU held that it had the jurisdiction to answer the Danish court’s questions. The CJEU disagreed with the view of the Danish Competition Council and found that the standstill obligation in the EU Merger Regulation should be interpreted more narrowly and only cover activities that actually contribute to the change in control under review. Significantly, the CJEU ruled that conduct that relates to the merger but is not directly linked to the change of control is therefore not a breach of the standstill obligation even if it is ancillary or preparatory to the merger. Following this reasoning, it would appear that the termination by KPMG Denmark of its membership of KPMG International was therefore not early implementation - despite being connected to the merger and having market effects - as it did not contribute to the change of control of KPMG Denmark. 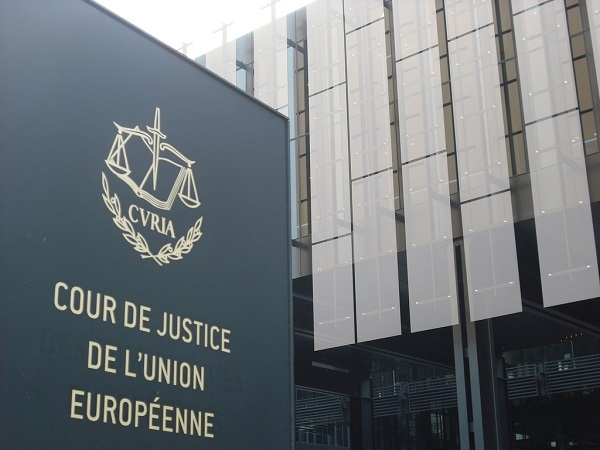 The CJEU’s decision clarifying the scope of the standstill obligation during an EU merger review is welcome, given the lack of detailed guidance and the high level of current regulatory scrutiny in this area. Against the background of the very large fines that the European Commission and other authorities have recently imposed for gun-jumping, it also serves as a reminder of the importance for merging parties of putting in place procedures to ensure that they do not fall foul of these rules. In Ireland, the Competition and Consumer Protection Commission (CCPC) has underscored in its Notice on Gun-jumping dated 13 May 2003 that gun-jumping is “a very serious matter”. In this connection, it is important for businesses to be mindful of two issues: one relating to the potential sharing of competitively sensitive information prior to CCPC approval; and the other relating to a breach of Section 4 of the Irish Competition Act 2002, as amended, which prohibits all agreements between undertakings, decisions by associations of undertakings and concerted practices which have as their object or effect the prevention, restriction or distortion of competition in trade in any goods or services in the State or in any part of the State. The key message for businesses from the EY Denmark / KPMG Denmark case is that preparatory acts which do not, in and of themselves contribute to the change of control, are not subject to the standstill obligation. However, it is important to be cautious -- a commitment to sever existing ties could still constitute gun-jumping, for example, if such a commitment effectively allows the acquiring company to dictate how the target company should amend its existing business practice.